Philadelphia, PA oral surgeons perform many types of oral and maxillofacial surgery. Oral surgeons on Philadelphia, PA specialize in diseases, injuries, and birth defects in the head, neck, face, jaw, and tissues of the mouth and maxillofacial area. In the United States, oral surgeons are recognized as dental specialists, but in some other countries they are thought of as medical and dental specialists. What is an Oral Surgeon in Philadelphia? A common procedure performed by Philadelphia oral surgeons is the removal of impacted wisdom teeth. Often, the jaw is not large enough for the wisdom teeth to emerge in alignment. When this happens, the teeth can become impacted between the jawbone and gum tissue causing swelling, excruciating pan, infection, permanent damage, even cysts. If you develop impacted wisdom teeth, your dentist will most likely refer you to an experienced Philadelphia oral surgeon to have them removed. While under local or general anesthesia, the Philadelphia, PA oral surgeon you choose will remove the impacted wisdom teeth, then suture the gums closed. If you have a dental emergency in Philadelphia, click here. These Philadelphia, PA oral surgeons hold the highest of standards, are well-known, and highly referred by dentists. Dr. Braham has published several articles in peer review journals and possesses extensive experience with wisdom teeth extraction, dental implants, bone grafting, and facial traumas. Dr. Richman was an associate professor and has had his publications in the Journal of Iral Maxillofacial Surgery. he specializes in dental implants, pathology, and bone grafting. Dr. Dieu travels to developing countries to correct cleft lips and palates. He specializes in wisdom teeth, dental implants, oral and facial trauma, reconstructive jaw surgery, sedation, general anesthesia, oral and facial pathology, and cosmetic surgery. If youb are looking for a Philadelphia, PA group og experienced, renowned oral surgeons, this is the group to choose. If you are in need of an experienced group of Philadelphia, PA oral surgeons that are highly skilled in a wide range of oral surgeries, this is the group for you. From wisdom teeth removal to oral-facial tumors, TMJ to fractured facial bones, this oral surgery group in Philadelphia, PA has you covered. If you are looking for a knowledgeable, kind, empathetic oral surgeon in Philadelphia, PA that has years of experience, this is the oral surgeon for you. This Philadelphia, PA oral surgeon duo specializes in dental implants, wisdom teeth extractions, as well as an all-on 4 treatment surgical concept. You may need a Philadelphia, PA oral surgeon if your jaw or bite are not properly positioned, or grow at different rates, and the problem is too severe for orthodontics alone to be used. In the case of a facial trauma or injury, you may require the services of an oral surgeon in Philadelphia, PA. Facial lacerations, intro oral lacerations, knocked out teeth, fractured facial bones, and fractured jaws are all problems that may be taken care of by an oral surgeon in Philadelphia, PA. 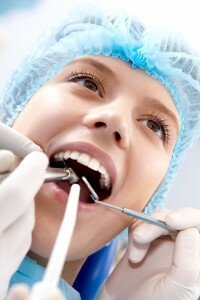 If you want to know about Sedation Dentistry in Philadelphia, click here.